Occasional boredom in an otherwise exciting life: Introducing our very own canoe! Introducing our very own canoe! 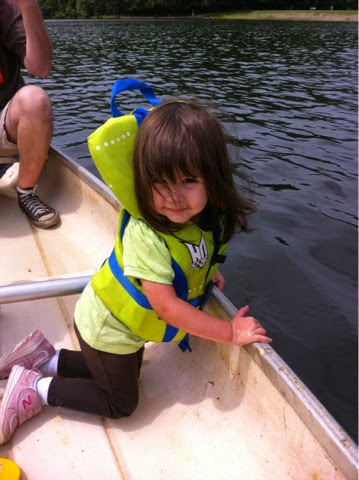 Our last family canoe ride was February 5, 2012 where Sam fell into the water. Prior to that was May 31, 2011 - that one stands out as the most horrific ride EVER thanks to a hot day and miserable kids. So what could have caused my husband to have obsessed over canoe's for the past two years to get our very own? 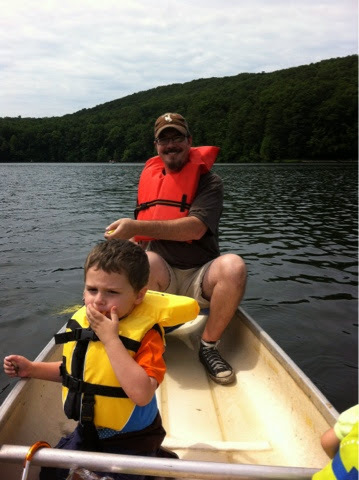 Let's see, prior to children and blogging, we had some good times canoeing with our dear friends Brett & Shelly. The first time was in the Everglades where we nearly paddled straight into a nest of three of the biggest alligators I've ever seen in my life! After that, husband and I took several vacations in the Keys and west side of Florida and every single time rented kayaks or canoe's so I guess you could say the fondness was built up before children arrived with attitudes and opinions! We did get quite tired of having to pay rental fees every time, maybe that was also the spur that drove husband to troll Craig's listings for two years straight. Regardless - we are now the proud owners of our very own canoe! We took it out for an inaugural ride and since Charlotte is still in Texas, it was just the two younger ones. After a few initial mishaps like Sam trying to get into the boat while it's still on dry land and knocking Violette down in the process, we all managed to have a very good time. No one cried! 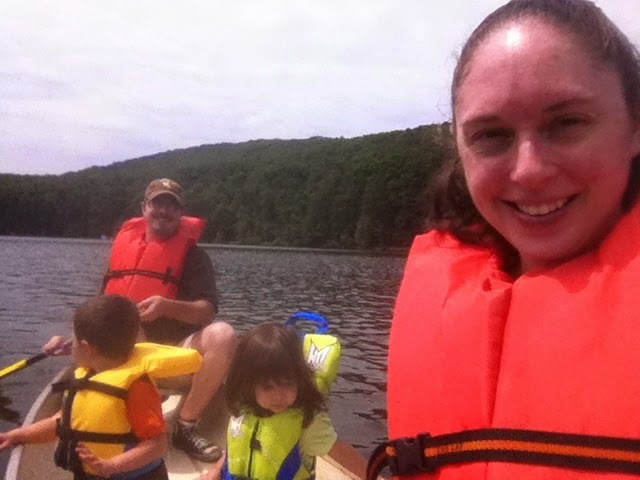 We stayed out for almost 2 hours, ate snacks, I paddled the entire ride which is a good sign that children were not demanding my attention and no one fell in!